Hi everyone, I'm excited to be part of another cover reveal today, organized by Giselle from Xpresso Book Tours! This time, it's for a YA contemporary novel. 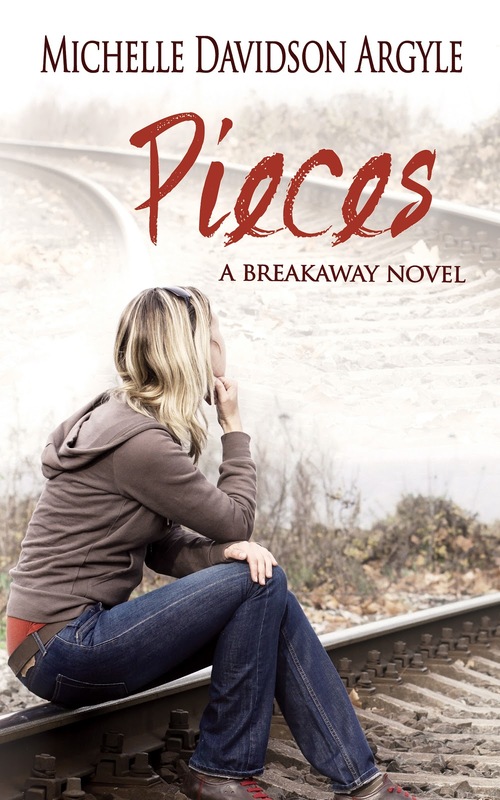 We're talking about Pieces by Michelle Davidson Argyle, the sequel to The Breakaway. I haven't read The Breakaway, the companion novel to Pieces, yet, though it's high on my TBR list! Both books sound amazing and I love the covers. See for yourselves! Isn't the cover pretty? I love covers with railways on them! They symbolize a road ahead, an attempt to get away and change. An escape. I also like how it compliments the first cover in terms of font and hiding the model's face. What's your opinion? Have you read The Breakaway? EDIT: The trailer for Pieces was just made available... you can check it out below!